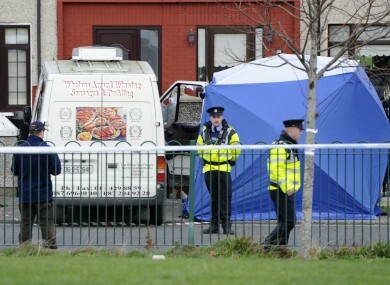 A 49-YEAR-OLD WOMAN is due to appear in court this afternoon charged in relation to a Ballyfermot murder last month. The woman will appear before the court at 4.30pm over the murder of David Darcy three weeks ago. Darcy was shot dead on Cherry Orchard Avenue on 28 November. Darcy had been sitting in a van when he was shot several times shortly before 7am. Gardaí found a burnt-out car in Ballyfermot shortly after the shooting. Email “Woman due before court over Cherry Orchard killing”. Feedback on “Woman due before court over Cherry Orchard killing”.